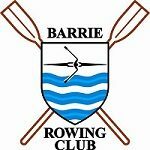 The Barrie Rowing Club is a non-profit organization whose mission is to stimulate, advocate and develop the sport of rowing in the Barrie area and Simcoe County. To achieve a vibrant, strong and dynamic rowing community, we provide training programs targeted at individuals of all ages and abilities. See Our Latest Announcements and Posts!